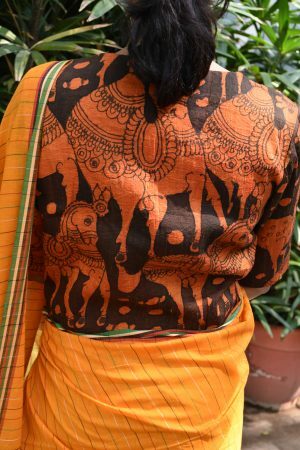 Kalamkari is a type of hand painting done using vegetable /organic dyes. 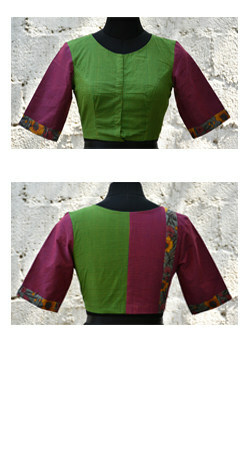 Natural dyes are used for painting on the fabric. It is the ancient form of artistry and now in the modern world this art is extensively used to produce fashionable garments for women. 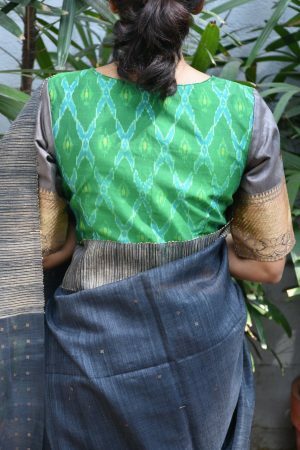 Aavaranaa, keeping up a match with different traditional themes, has added a range of kalamkari silk sarees to its collection. 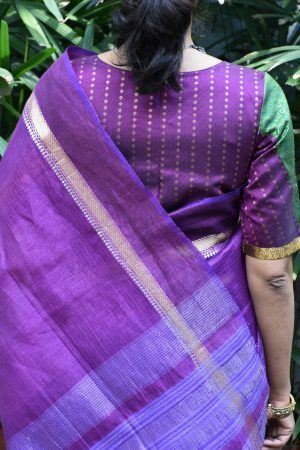 Our designers have thoughtfully created sarees to showcase the traditional simplicity, elaborate sharp detailing and attractive motifs in a host of vivid hues. With no dilution made in the actual art form, we use organic dyes on fine quality fabric, which makes the colour on the fabric long lasting. 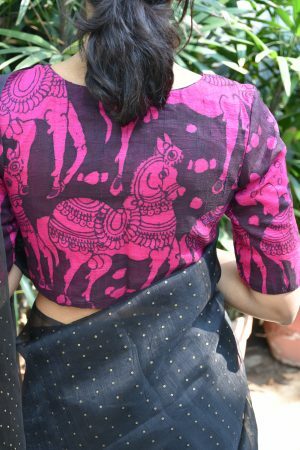 Kalamkari silk sarees are a must have for all those ladies who like to keep their wardrobes unique and traditional. Lots of variation is visible in our collection in terms of prints and patterns. 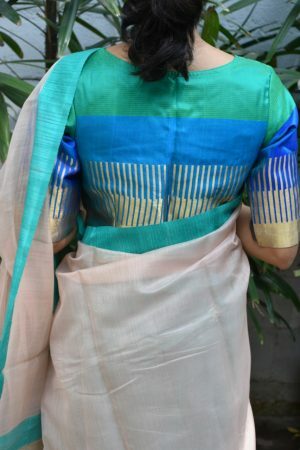 Our creative designers have used floral prints and the all time classic peacocks and the mythical swan on many of the sarees, while modern abstract and geometrical patterns are also provided on chiffon. These sarees creation at Aavaranaa is a result of exceptional creative work done by our designers. The contrast colour-combinations or the multi-coloured borders embellish the look of these sarees. 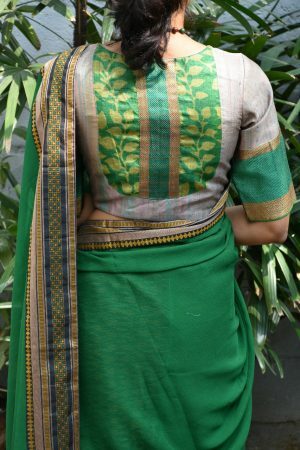 Each saree is hand painted by a select 30 painters and hence no two sarees are the same. Hence,minor colour changes from the ones available in the online catalogue are unavoidable. 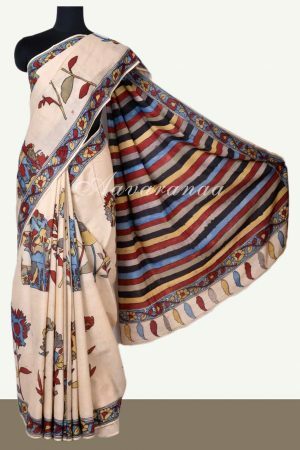 The designer kalamkari sarees at Aavaranaa are offered at a price which is totally worth every penny.. You can buy kalamkari silk sarees from our online shopping stores, to enjoy a convenient shopping experience. Our widest range of Kalamkari silk sarees offers something to match the personality of every Indian woman. These lightly adorned sarees give you a feel of exceptional simplicity and elegance. 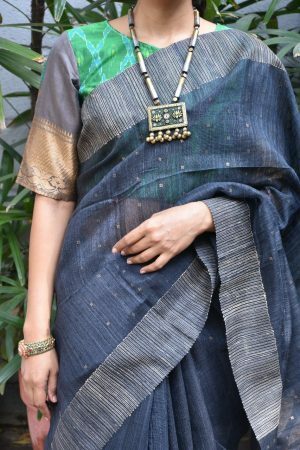 Embrace the gorgeous look as you drape Aavaranaa’s kalamkari silk sari. 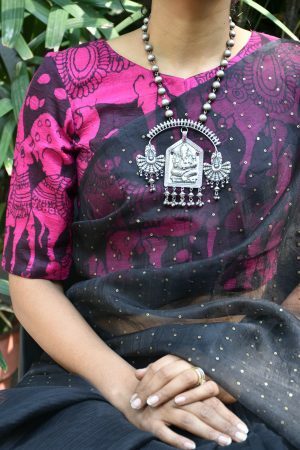 Bring out your best traditional look, and flaunt it with pride!